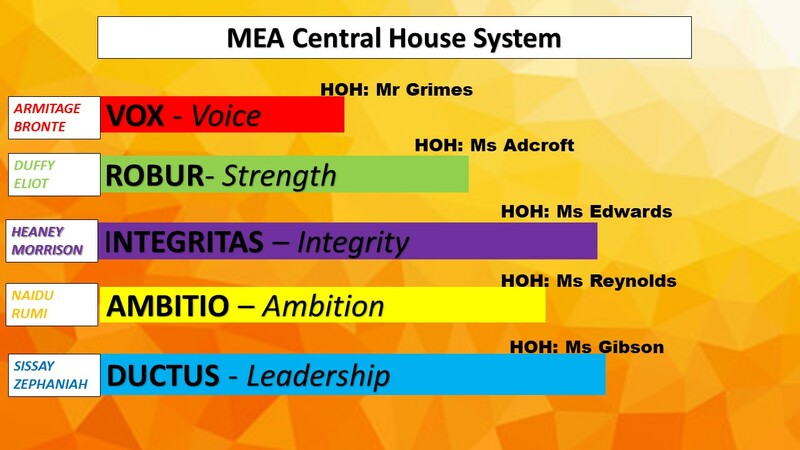 All MEA Central students are members of one of our five houses. Students are allocated to one of the five at the start of Year 7 and houses are organised vertically so that Years 7-11 are present in each house. Our houses are named using Latin words related to knowledge or enterprising attributes. Our houses provide a focal point for school events, competitions and rewards. They are strong communities of students and staff which develop a sense of belonging, pride and identity. Each house has its own Head of House, house tutors and their own rituals, routines, chants and dances. See the gallery to the left or images below to get a glimpse of our house identities! Commendations, excellent attendance, rewards and competitions all earn house points, and at the end of every half term we update students on where each house sits. At the end of year assembly we reveal the winner of the House Cup! Our first major house competition in 17/18 was our Sports Extravaganza. 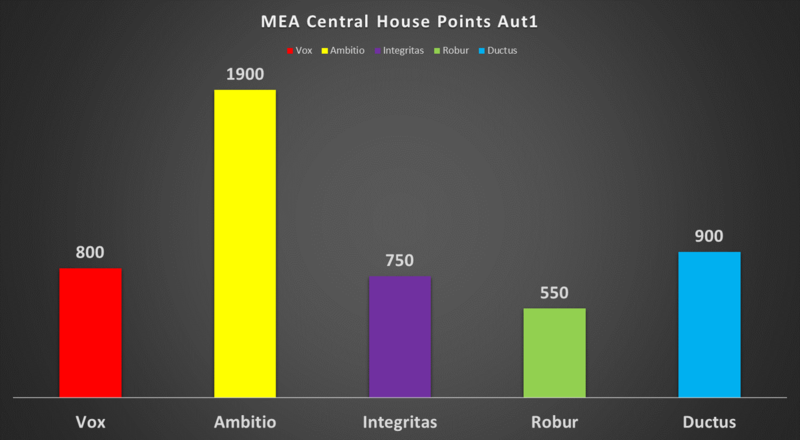 The winner of 17/18 House Cup was Vox house.